So as promised last winter, there would be a new kite, and a familiar kite gone. 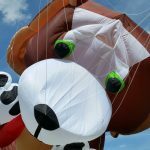 Goodbye to the Air Guitar (Long Live the Air Guitar) and Hello to “Charlie” the new pup from Peter Lynn Kites. It made its debut this last Sunday in Papillion, at the spring kite fly. 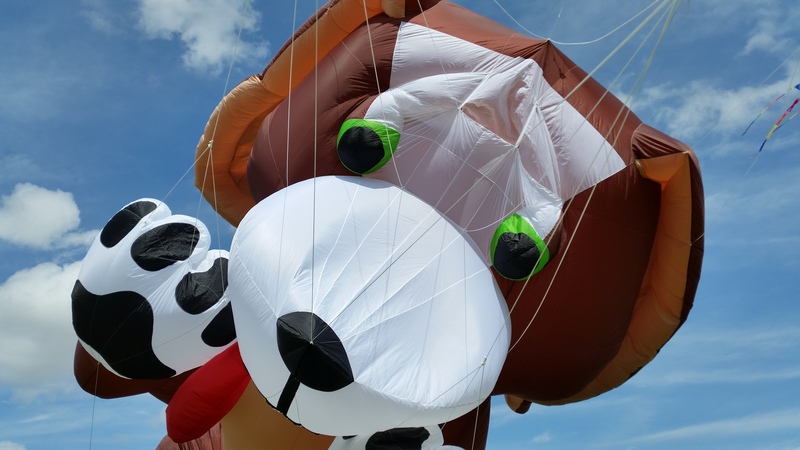 It should possibly see the light of day this weekend in Underwood, Iowa, or possibly next weekend at the LaVista kite fly. Its large, and stable, and flew great in 20 mph winds on Sunday. The crowd loved it. We are happy with it, and are now learning just how to pack and unpack as well as store bridles. I am looking forward to flying him quite a bit. The name, is a reference to an old friend of mine that got me into flying, and I hope, 10 years after his death, is still smiling down on me with all of the flying I do. You will also start seeing more pictures of him appear in the pictures section. I plan to go to Europe again this fall, late though, after all of our flies, and head back to see my friends in Gubbio Italy, as well as then head to France for 3 days of flying. This weekend will be busy with kite orientated activities, which is nice, I first started going to regional fly’s as there were not enough things to do in the Omaha area. Now we are up to almost 12 events in the area, so no need to drive hundreds of miles from event to event. I will post more pictures after this weekend.